HIGHLAND TWP., Pa. (EYT) – The preliminary hearing for a Mercer County man facing homicide by vehicle charges in connection with an April 2018 double fatal DUI crash in Clarion County has been continued. Court documents indicate 25-year-old Joseph Michael Flynn, of Clark, Mercer County, Pa., will now face a preliminary hearing on February 27 at 10:00 a.m. before Magisterial District Judge Timothy P. Schill. The hearing was originally slated for February 5. The charges stem from an April 2018 DUI-related crash on Miola Road in Highland Township, Clarion County. According to a criminal complaint, around 12:16 a.m. on April 14, 2018, Trooper Berggren, of the Clarion-based State Police, was dispatched to a motor vehicle crash on Miola Road about a half mile north of Bigley Road, in Highland Township, Clarion County. The complaint notes that when Trooper Berggren arrived at the scene, he was informed by the Clarion Fire & Hose Company #1 chief that one of the passengers was deceased. Due to the limited contact Trooper Berggren had with the crash victims at the scene, he was unable to conduct a full interview. According to the complaint, Trooper Berggren did ask Joseph Flynn who owned the truck, and Flynn stated that he did. Flynn was identified at the scene by his father and was taken by ambulance to the Clarion University football field, where he was then flown by helicopter to Allegheny General Hospital for his injuries from the crash. Flynn was initially assessed at the scene by a Shippenville EMT, who asked Flynn if he had been drinking. Flynn allegedly said he’d had “a few” drinks and when asked again, admitted to having 8 to ten beers. Flynn also allegedly stated he was worried that his father was going to be angry he had wrecked the truck, according to the complaint. Flynn was treated at the scene by a Shippenville Ambulance paramedic, who noted a strong odor of an alcoholic beverage on Flynn’s person. According to the complaint, Flynn made a statement to the paramedic that he did not want to go to jail, and when asked why he would go to jail, he stated, “for drinking and driving.” The paramedic then asked Flynn if he was the driver and if he had been drinking, and Flynn allegedly responded “yes” to both questions and noted again that he had consumed 8 to ten beers. There were four occupants in the truck at the time of the crash: Joseph Flynn and three passengers, Mark Matthew Marcucci, Kevin Scott Yarabinec, and Cody Alan Hughes. The complaint states that 29-year-old Mark Marcucci, of West Middlesex, Mercer County, Pa., was pronounced dead at the scene by Clarion County Coroner Randall Stom around 3:32 a.m. with his death attributed to blunt force trauma injuries he suffered in the crash. Marcucci, a Youngstown State University graduate with a bachelor’s degree in civil engineering, was well-known in the region as a race car driver, racing at Mercer Raceway Park, Sharon Speedway, Lernerville, and more. Marcucci had three track championships at Mercer Raceway Park and one national championship. 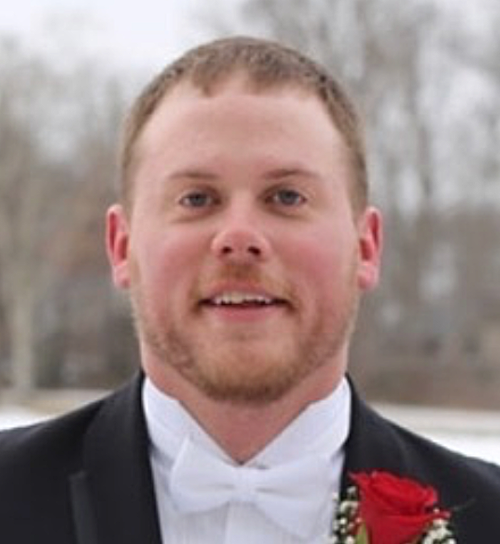 Twenty-three-year-old Kevin Yarabinec of Sharpsville, Mercer County, Pa., was flown from Clarion to Allegheny General Hospital where he succumbed to his injuries on April 15, 2018. According to the complaint, an autopsy was performed. It indicated that Yarabinec died from blunt force trauma to the head, neck, trunk, and extremities that he suffered from the crash. 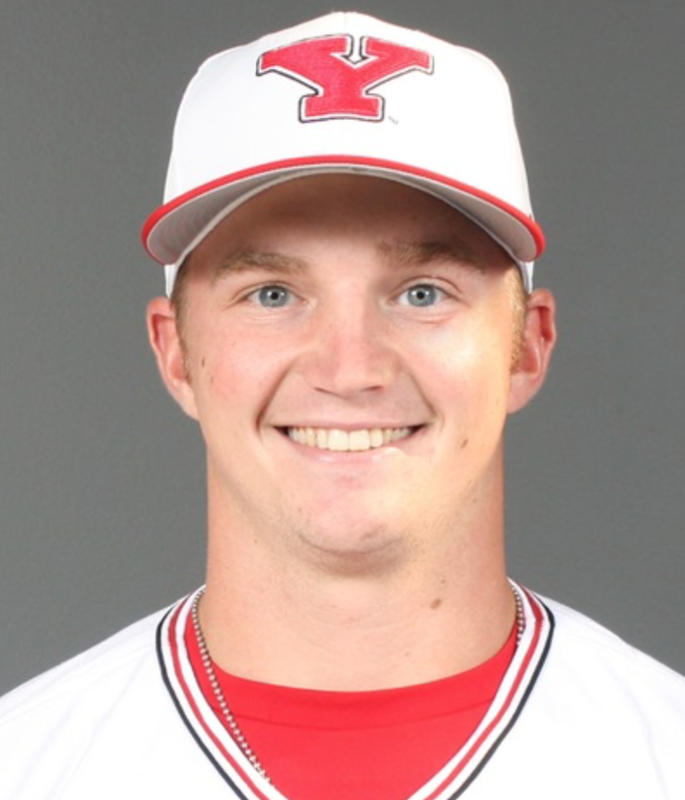 Yarabinec was a right-handed pitcher at Youngstown State University from 2014-17 and graduated in May 2017 with a bachelor’s degree in criminal justice. Cody Hughes was flown from Clarion to Pittsburgh Presbyterian Hospital for injuries that he received in the crash with consisted of two broken vertebrae, a fractured ankle, and knee problems. According to the complaint, the investigation showed that the 2017 RAM 1500 was traveling north on State Route 1005 when it started to travel off the roadway on the east berm while negotiating a left curve. The truck continued off the roadway and struck a culvert and a road sign. It then continued to travel north next to the roadway when the right side of the truck struck a tree. The truck then struck a second tree with the right side of the front end, causing the truck to rotate 180 degrees counterclockwise. It came to a final rest to the east of the second tree facing south. The complaint notes that three of the four occupants of the truck (the three passengers) were ejected from the vehicle, while Flynn was not ejected. On April 24, 2018, Trooper Berggren applied for and was granted a search warrant for Flynn’s medical records. According to the complaint, the records showed that Flynn had a BAC (blood alcohol content) of .143% at the time of the test. Trooper Berggren conducted an interview with Hughes on April 25, 2018. Hughes identified Flynn as the driver and also stated that Flynn had been drinking beer at a bar prior to the crash, according to the complaint. The complaint also states that a crash reconstruction completed by Trooper Manno showed that Flynn’s vehicle was traveling at a minimum of 86 miles per hour to a maximum of 93 miles per hour in a posted 40 mile per hour zone at the time of the crash. The investigation also concluded that Flynn was not wearing a seatbelt. Based on the investigation, charges were filed against Flynn on Wednesday, December 19, in Magisterial District Judge Timothy P. Schill’s office. Flynn is free on $50,000.00 unsecured bail.